It’s nice having a dumpster to put my trash in. I can take my trash out any time I want. I still let the trash can get kind of full before emptying it though. Last night as I was about to take the trash bag out, I looked in the refrigerator and freezer for anything that had been in there too long. I did see something that had been in the freezer a while, but I didn’t throw it away – I ate it. How uncharacteristic of me. I usually don’t do leftovers. 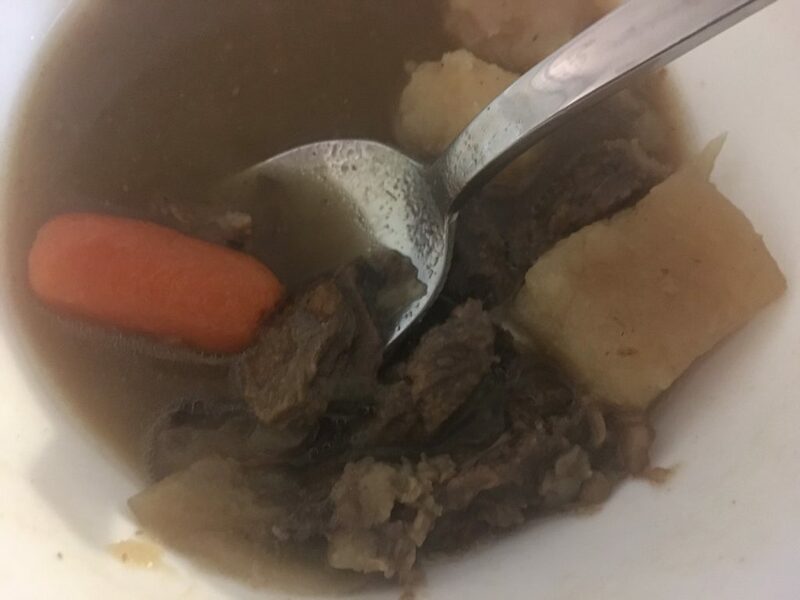 It was some stew made by my principal. He have me a big container of it a long time ago, and I only ate half of it. The other half made a great dinner last night. It was delicious! That’s actually a good strategy for leftovers: put them in suspended animation for enough time to pass so they become ‘new meal’. Really, that’s all the t.v dinner people are doing, right? Haha! I was a little worried that there would be a centipede under my bed sheets last night. I hesitated a little before I slid my feet in.